We know that divorce isn’t always an easy process, but many people are looking for a streamlined process to help the divorce process become exactly what they’re looking for. Celebrity divorce attorney Laura Wasser recently made news by launching her newly-famous website “It’s Over Easy,” where couples can make their divorce as simple as doing the process right over the Internet. The website is available to those who are seeking divorce in New York and California, and not only settle their divorces, but also work together through property division and child custody arrangements. Though this process is being called “simple” and streamlined, we see the flaws right off the bat, because there are some things that are best solved through mediation and the court divorce process, where matters can be brought up over a series of meetings and discussed with attorneys on your side. And while a process like the one that “It’s Over Easy” offers might be great for couples who don’t have much in the way of assets or huge issues needing litigated, there are some issues that should see a judge. DIY Divorce, or a process that does not involve an attorney, is gaining popularity, especially among couples who are in agreement over many issues and satisfied with the results they both expect. They might have already sat down and constructed a parenting plan and divided what property they shared together. However, issues can always arise when you least expect them as you go through the divorce process. Not everything is written in stone, as anything is subject to change when larger issues come to light and discussions begin. 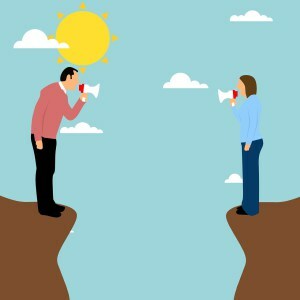 Because many of these processes are confusing and may lead to bigger issues, have you ever considered going through the mediation process, which still gives you the freedom you want to discuss issues with your spouse in a peaceful fashion, but still gives you the protection you need from an attorney you can trust in case bigger issues arise? If you are looking at the route that will save you time and money, mediation might be for you. By all means, exhaust all your options. It never hurts to see what is out there. And, if you need help with your divorce case, call us as soon as possible at The Law Offices of Amy M. Montes to get started.